Update: Apple is having none of the survey, claiming that 79% of people who signed up for Apple Music are still using it. The company sent a statement to The Verge saying just that, refuting the MusicWatch survey's claim that 48% have stopped using the service. Apple didn't offer any more details, though its user data is certainly more thorough than MusicWatch, which polled 5,000 US-based users. With Apple Music's free trial period coming to an end in September, we'll have to wait and see who continues using the service and who opts out once they're forced to start paying. 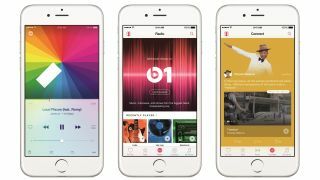 A new survey suggests Apple maybe struggling to keep Apple Music subscribers after their free trials comes to an end. According to the survey, which was conducted by music industry research company MusicWatch, 61% of trial users have already turned off their subscription auto-renewal, while 48% have stopped using it altogether. Meanwhile, only 30% of users are tuning in to Beats 1 radio. Of course, it should be noted that the survey consists of only 5,000 US users, which is rather a small sampling of the 11 million users that reportedly signed up to try the music streaming service. While the survey does indicate that at least 64% of Apple Music users are likely to continue their subscription after the free trial period ends, it's still rather a low percentage given the competition it faces. There are some good numbers for Apple's offering, especially in terms of Spotify, as 28% of Apple Music users are also Spotify Premium subscribers. In terms of free services, however, the survey says only 11% of Spotify Free users and 6% of Pandora users also use Apple Music. But there's apparently 23% of iOS users that are still unaware Apple Music, which does give room for Apple to first educate and try to sell Music to them. Still, Apple Music is coming in to a saturated market, and with it having launched only two months ago, we'll have to wait a bit longer to see how it ends up stacking against the competition.